Google has continued improving Snapseed since it bought the app a while back, which is a refreshing departure from the usual way of things (looking at you Microsoft). 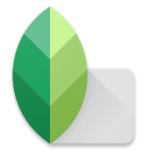 Today, v2.5 of Snapseed is rolling out on Android and that other platform with a few notable changes. The official changelog isn't up yet, but the Snapseed G+ account has the details and a demo video. Here's what to expect in the new version. Horizontal flip in Straighten (y axis). Use this feature to horizontally mirror a photo, for example to fix front camera selfies which did not get mirrored correctly by the camera app. Snapseed now displays more photo metadata information, including a map if the photo contains GPS information. The ability to apply last edits is demoed in the video above, which hilariously uses the phrase "dot dot dot menu." You'll be able to quickly replicate edits that you spent time tweaking on multiple photos in the new version. Neat. The enhanced photo data could be useful as well, and it's only for Android. The new version isn't showing up for me yet, but it's only a matter of time. The APK is now available on APK Mirror.